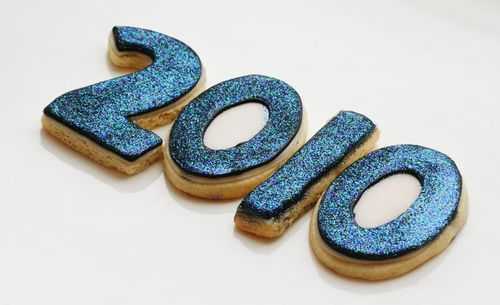 These New Years Eve Countdown Cookies are the PERFECT way to bring in the new year! I was recently asked to be a part of a live news broadcast for Fox. 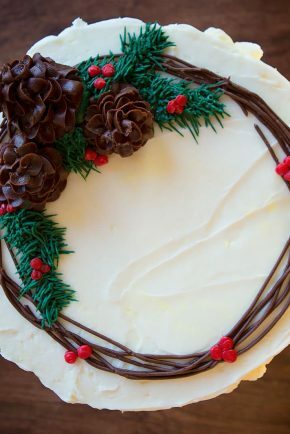 They wanted some amazing Christmas and New Years inspired desserts. So I made Rainbow Cake and my newest original idea… Countdown Cookies!! These are sugar cookies covered in my special royal icing tinted black. 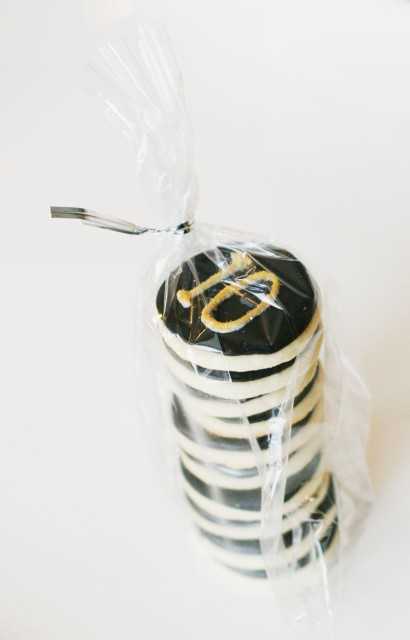 The numbers are written in white royal icing and covered in gold paint and gold sparkles. 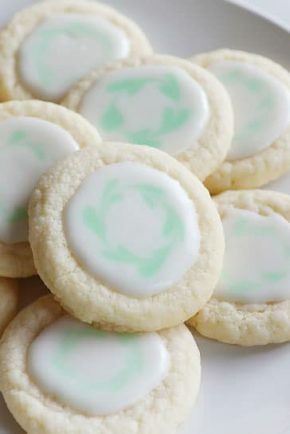 Here is my famous sugar cookie recipe! In a large mixing bowl, combine room temperature (not melted) butter and sugar until smooth. Add eggs and vanilla and combine. In a separate bowl, sift together flour, cream of tartar, baking powder, and salt. This is an important step; you want to avoid lumps in your dough. Slowly add dry ingredients into wet batter until fully incorporated. Drop dough onto a large piece of saran wrap, mold it into a 4×4 square, and refrigerate for at least one hour. I often let mine sit overnight. 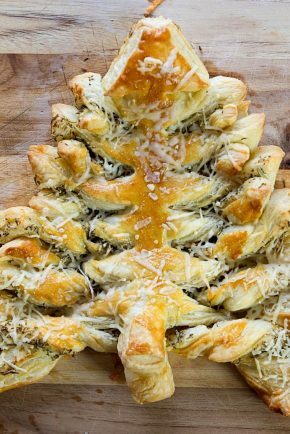 When ready to bake the cookies, generously flour a flat surface and roll out the dough. You can use as much flour as you need! 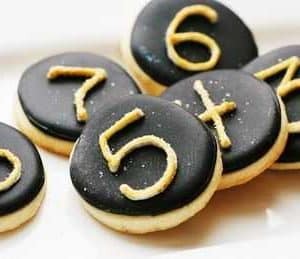 I prefer to make cookies about 1/4? to 1/2? thick, but you can go thicker and still have successful results. For best results, bake on silpat or parchment paper. You can reuse parchment, too! Bake at 325-350 degrees for 5 to 8 minutes. In my oven, right about 6 minutes yields a perfectly cooked cookie, with no brown edges. 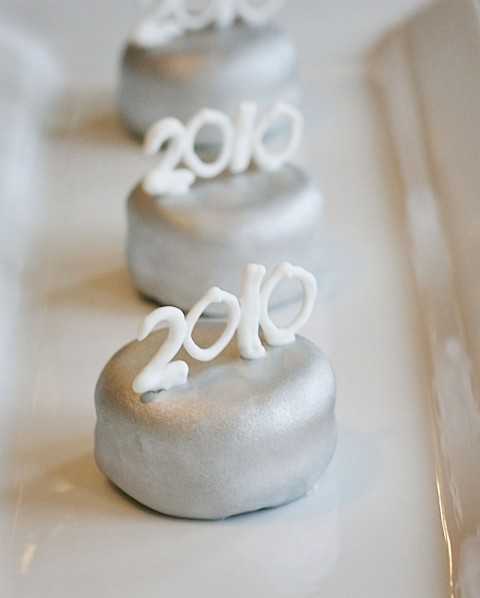 I also used my favorite glaze icing recipe. Sift powder sugar to remove lumps. Add all ingredients to bowl and mix until combined. Add more milk as needed to achieve desired consistency. You will also need black food color and gold sprinkles to replicate this design. 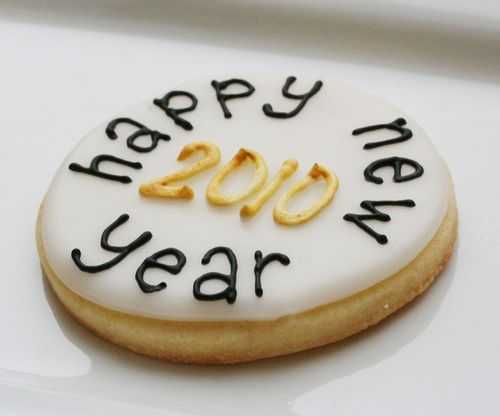 So the whole theory behind the 10-1 cookies is based on the New Years Eve countdown. You know how ten seconds before midnight everyone starts counting? 10…9…8… yeah, you get the idea. Well, these are silver dollar size cookies that can be given as a gift to guests at a New Years Party! 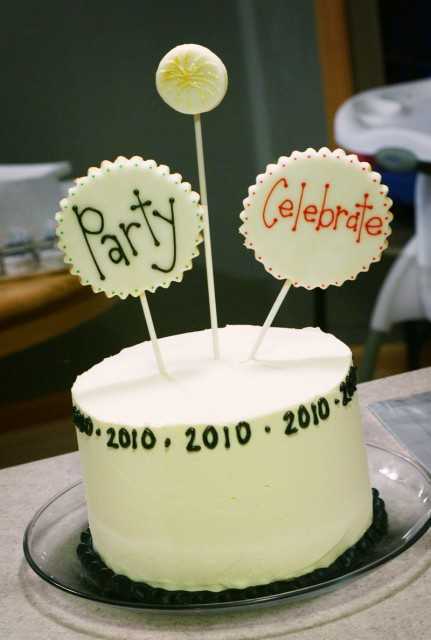 Something fun to nibble on throughout the night, or just a fun keepsake! 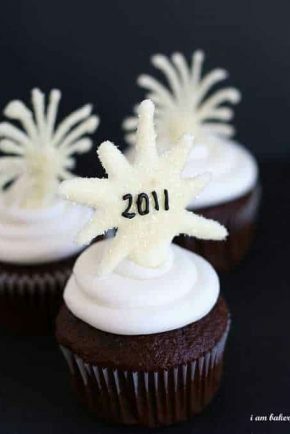 These can be personalized for every New Year! And these super sparkly black cookies were almost too pretty to eat. 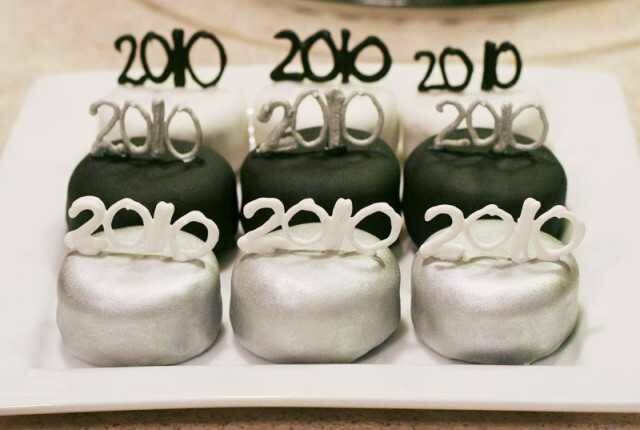 The Happy 2010 petit fours. 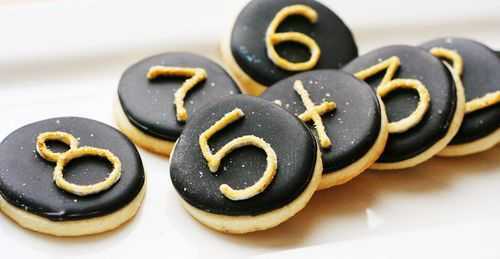 Hope you like my original Countdown Cookies!! 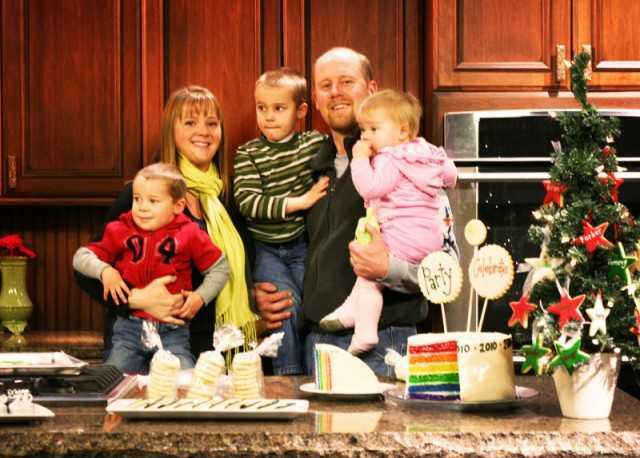 Beautiful family photo! 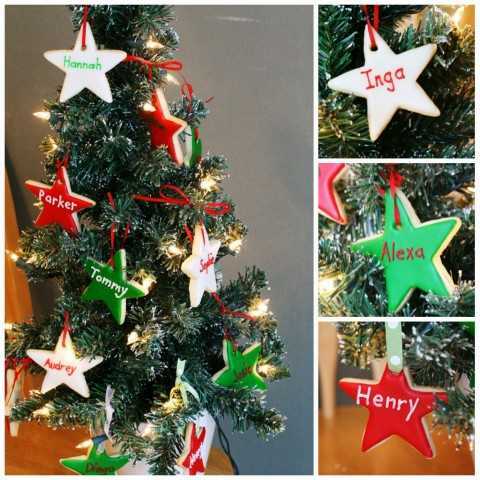 Love the cookies too! Where can I find food safe gold and silver dust? Thank you for great idea and such detailed instruction, Amanda! 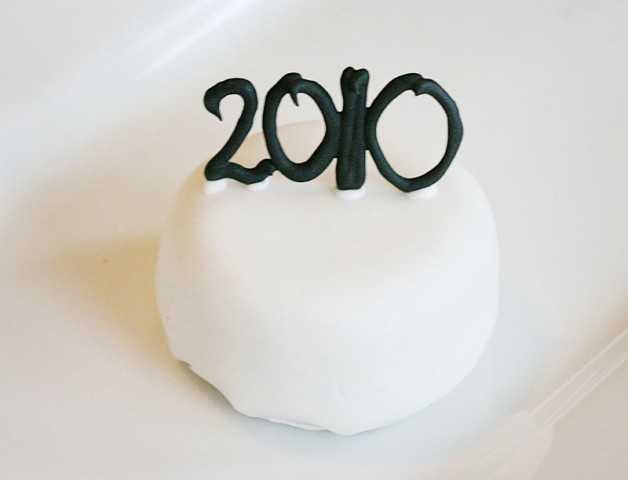 I’ll definitelly make it for the new year. What is the gold paint please? Where do you find gold paint.